Special Electronic Mission Aircraft (SEMA) - Part 1. Perhaps you’ve seen SEMA aircraft before, transiting your local airport on their way to parts unknown. Some of them of course, are a bit obvious, flat gray painted aircraft, festooned with black antennas and unusual bulges looking like a cross between a flying porcupine and the Hunchback of Notre Dame. Maybe you’ve seen them but never even realized it as they are far more discrete, blending easily with the other business aircraft on the ramp, right down to the painted pinstripes along he sides of their fuselage. In both cases, these types of aircraft belong to the family of SEMA flown by the various Military Branches and the Federal Government and some of them are owned, flown and operated by private contract firms on behalf of nations around the world that require their unique services. In 1963, the US Army had a problem, the Communist insurgency in Vietnam was ramping up, and in an environment where the enemy blended into the local populace, and hiding under thick jungle canopy, sometimes the only way to locate the enemy was to listen for them. Guerilla units like the Viet Cong, as well as the North Vietnamese Army (NVA) relied on High Frequency (HF) radios, often using Morse Code, to coordinate logistics and operations with their higher ups. In all previous wars, the tried and true way to locate these transmitters was to go into countryside where the enemy units operated and set up Radio Direction Finding (DF) equipment and wait for the transmitters to go on the air, so that a line of bearing to the transmitter could be determined. Of course, DF is all about triangulation, so one needs at least 3 lines of bearing in order to determine the location of the transmitter. This kind of work was performed by highly trained specialist and was usually in a very high-risk situation. In December 1963, Specialist 4 James T. Davis, a Morse Code Intercept Operator working clandestinely with a South Vietnamese Army DF Team was ambushed and killed while out on a DF mission. President Lyndon Johnson would later refer to Specialist Davis as the first American to die in the Vietnam War. The Army Security Agency (ASA) was the organization that managed all Signals Intelligence operations around the world on behalf of the US Army and the National Security Agency (NSA). Based on the ASA’s early experience in Vietnam, work began on building systems in which Radio DF could be conducted from the relative safety of the air. One of the very first aircraft to be tested for this purpose was the venerable De Havilland U-6A Beaver. Installed in the aircraft would be a Collins R-390 receiver, and twin dipole antennas would be attached to the leading edges of the wings. This configuration would allow the operator to tune in to a target transmitter, and the operator would direct the pilot to fly the aircraft in such a way by making a series of turns so that when the radio signal was nulled, or cancelled out, the target would therefore either be on a line directly in front of, or behind the aircraft. 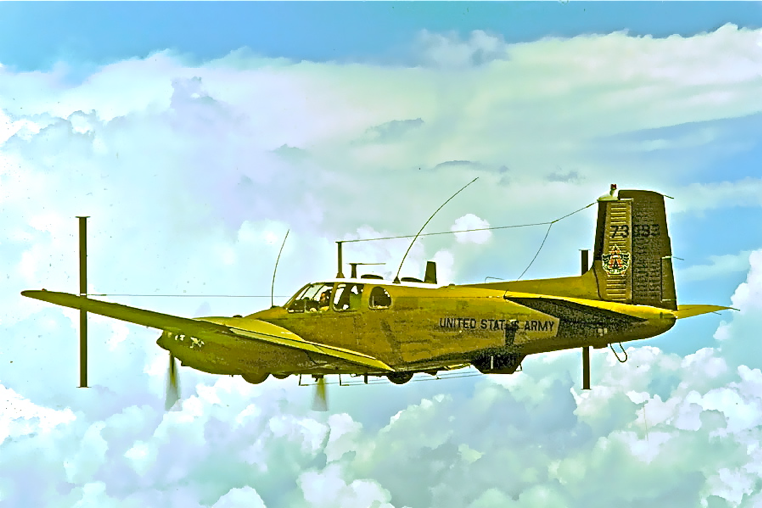 Once this line of bearing was achieved, the pilot would firewall the throttles and fly as fast as they could, (no small feat in a lumbering RU-6A Beaver) far enough away to establish a second, then a third line of bearing, thereby establishing a fix. There were many shortcomings of this process, among them, the transmitter had to remain on the air long enough for the location to be fixed. Another issue was that the aircrews had to know precisely where they were, relative to the transmitter, so typically they flew over known landmarks on the ground so they could overlay the lines of bearing on maps sitting in the laps of the pilots and operators. This made for a heavy workload, but the results of their efforts were proving successful as the information gleaned from these missions were passed along to allied commanders in the field in near real time to assist with planning artillery fire missions, to include Naval gunfire from ships just off the coast, to helicopter assaults against the enemy. Later in the war, entire B-52 strike packages could be redirected while in route to bomb positions over the jungle based on the intelligence provided. As the war escalated, and the technology advanced, larger aircraft with longer flight duration came on the scene such as the Beachcraft RU-8D and RU-21D. Systems that utilized Doppler Navigation and Inertial Navigation Systems helped with the operator’s plotting of the targets without having to fly over known landmarks, let alone overfly the targets themselves. 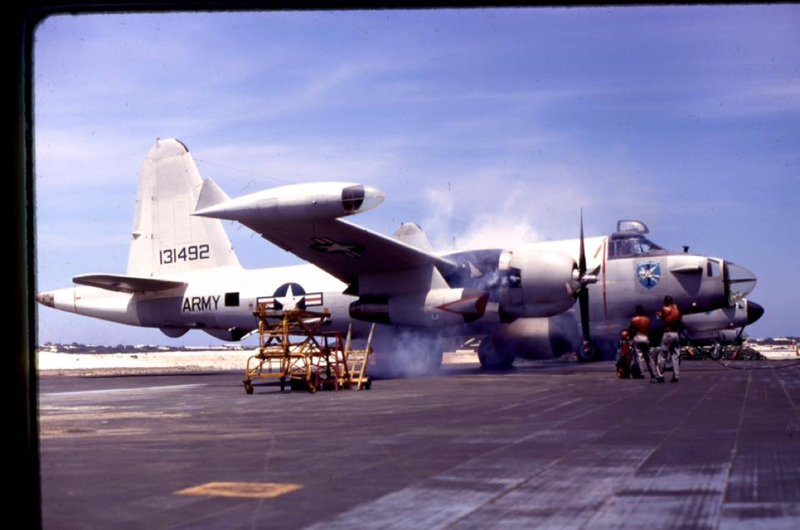 By the end of the war, the US Army, skiriting the spirit of the Key West agreement with the US Air Force regarding the size of Army aircraft, had “borrowed” P2 Neptunes from the US Navy and configured them for the SEMA mission. One of the last systems developed for Vietnam was the Cefirm Leader project, a system that for the first time would utilize multiple aircraft flying together and would combine Intercept and Collection, Direction Finding and Jamming into one deployable package. Because the Case Fire and Withdrawal of US Forces from Vietnam Cefirm Leader would not see service in Vietnam, but as a unique stand alone system in the US Army’s inventory, Cefirm Leader aircraft and aircrews would go on to have great success serving in other hotspots of the Cold War, and would finally see its combat debut during Operation Desert Storm.